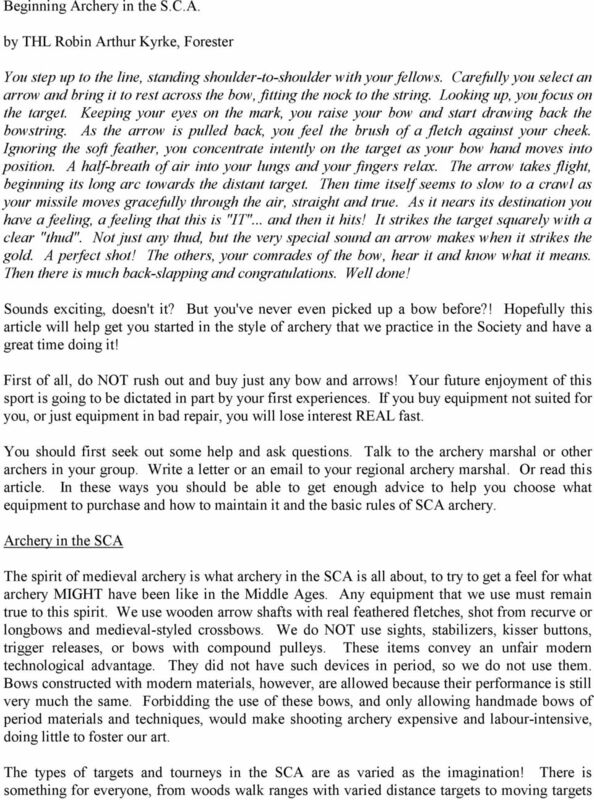 Download "Beginning Archery in the S.C.A. 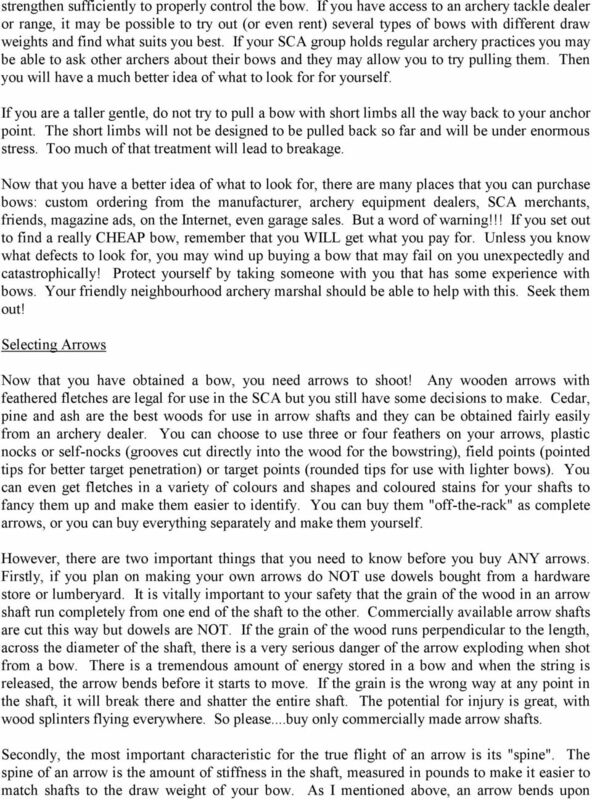 by THL Robin Arthur Kyrke, Forester"
6 take an extra bowstring! Nothing ruins a day of archery faster than a broken string and no way to replace it. Learn to inspect your own equipment for defects. 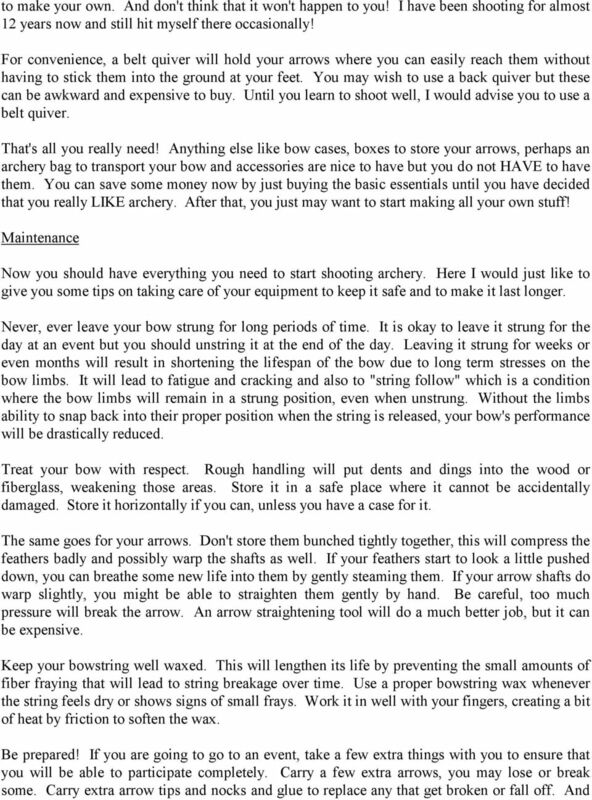 Have your local archery marshal show you how and have him explain what he is doing. It really is difficult to convey this sort of knowledge by the written word. 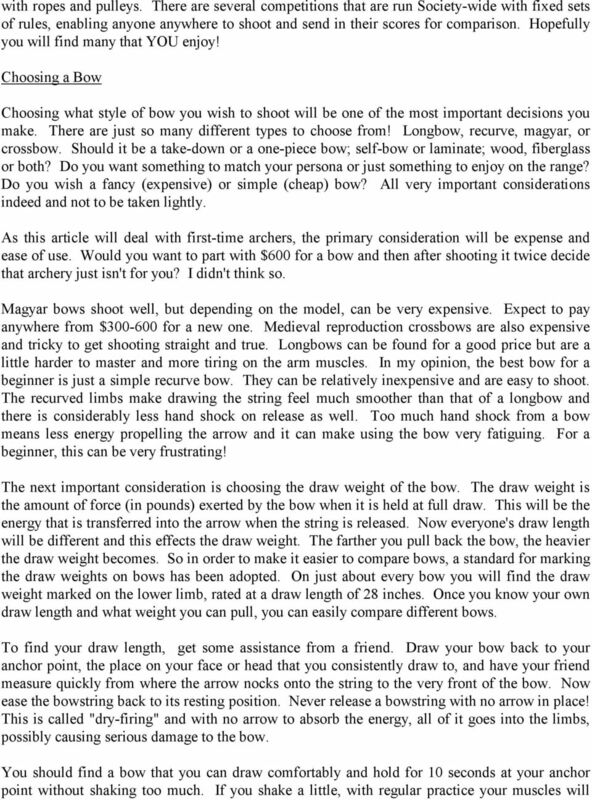 You can certainly check for obvious cracks in your bow and arrows, fraying bowstring, broken nocks and such. However, you really do need to be shown some of the finer points to be able to judge limb-twisting, string-seating, delamination, etc. Remember, the archery marshals are there to serve YOU and to help keep everyone safe. Do not be afraid to approach them with your questions. I am more than certain they will be glad to help! 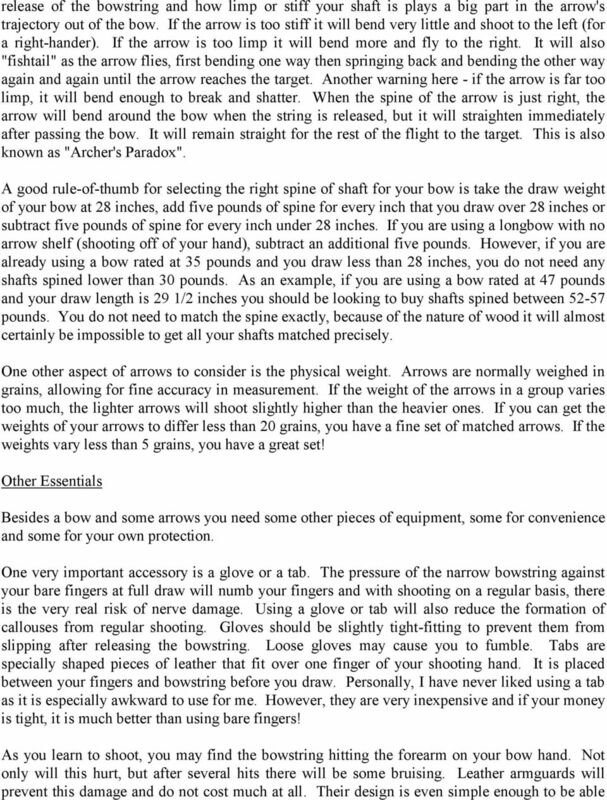 Hopefully you now know a little bit more about archery equipment for SCA use. Now get out to your nearest archery range and enjoy! Kriya for Negative Mind Bron: The Ten Light Bodies of Conciousness van Nirvair Singh Khalsa So So So So Hung Hung Hung Hung 3 MINUTES. Let s start with this pranayam. It s going to be a 4:4 breathing pattern. Practicing Piano: Parents Guide Practice Makes Perfect... Parents ask me all the time: How much should my kid practice? How do I know if he s practicing what he s supposed to? How do I get him to practice?